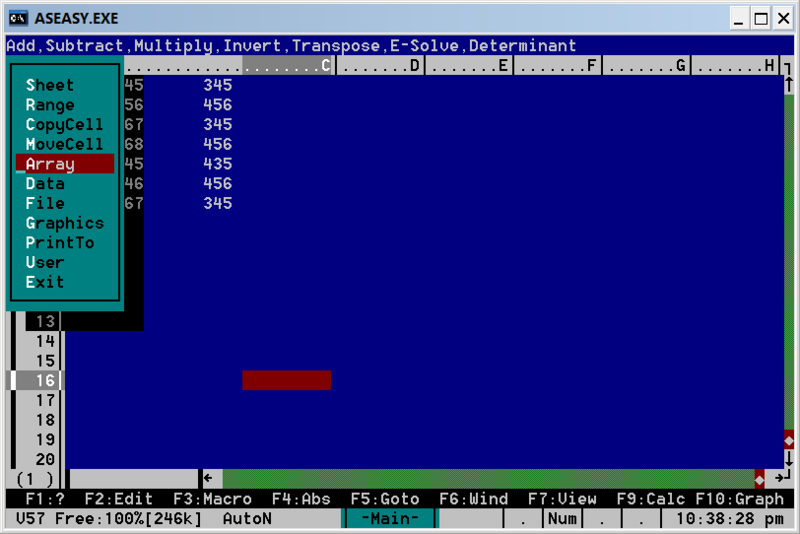 Generate Screens & Program Code for dBase III Plus. the more I will develop it to include more functions. on Disk from me at a $5.00 nominal charge for the disk, shipping and handling). help information is not tampered with or altered in any way. disk and not returned it). 10-key pad type the number 205, then let go of the [Alt] key. areas will then be given a meaning as explained below. To designate TIME() as an output field, move the cursor to the letter "T"
now highlighted (this is the same for block copy, block move, and block fill). Now press the [F3] key to designate the marked block as an Output Field. performing the GET in an @ say...get statement). the [Alt] key while typing the letter [B]. MYPROG.PRG). That's all there is to it. then enter the name you used to save the screen. (Example: MYSCREEN.SCN). information including wildcards etc, the same as you would at the DOS prompt. was therefore intended to be quick, easy to use, and yet powerful. program to someone who can use it, or 3) erase it and never use it again.